For more info and pics on any of these special events click on the name below or scroll down for all events! What an outstanding free event this is. 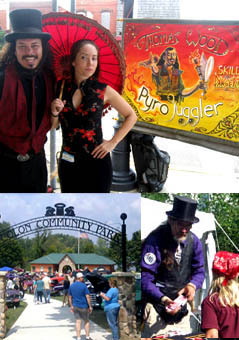 The Colon Chamber of Commerce and John Sturk have put together some of the best buskers in the world to perform on the streets of Colon during the Get Together. Although part of the Magic Get Together, the price is not included in your registration so tickets to this event have to be purchased separately at $10 per person (discounts available for kids and seniors). Since the 75th Get Together the dealers room has been open to the public! 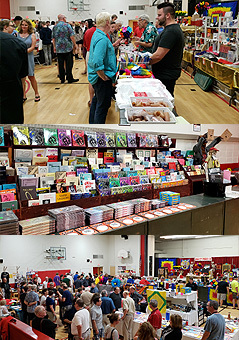 The dealers room is open everyday during the Get Together and one day each dealer takes to the stage to demo their best magic for sale at their booth. Some of the dealers expected for 2019 are listed below. Every day during the Get Together there is at least one lecture so check the schedule to see who will be lecturing and at what time. Generally lectures held Wed, Thurs, and Fri during the Get Together will be at the High School. Lectures on Saturday generally will be at the Elementary School (this allows our stage crew and Saturday matinee performers time to rehearse) Lecturers will be posted about 60 days prior to the Get Together. The entire town celebrates Magic Week during the Get Together! 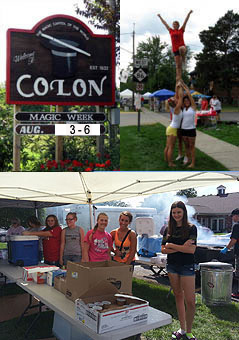 The Village of Colon doubles in population during Magic Week (Aug 7-10 2019) and many great events take place in the town. First lets not forget Colon's significance to Magic and Michigan history as it is a Michigan Historical (Site P24712 Honoring Colon & Blackstone). 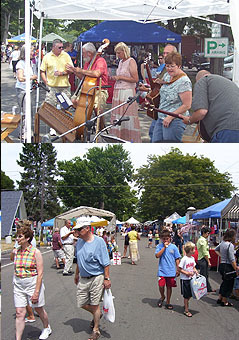 Individual shops have their own specials and events each year. Colon also has 3 magic shops in town and there are usually used magic sales going on around the city. 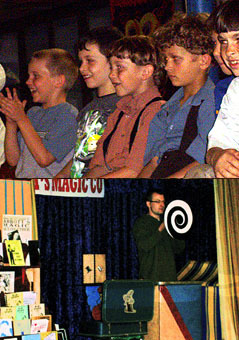 Not a day goes by without street performances by magicians, musicians, and other entertainers. Friday and Saturday are accented with barbecues on the street as well as many delicacies served both inside and outside. 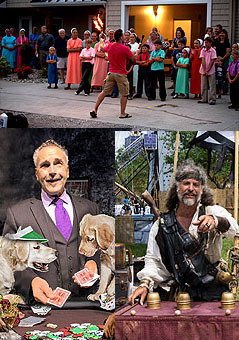 Each year is different and each event very special so stop by this year and check it out, there is truly nothing better than Colon Michigan during Magic Week Aug 7-10 2019! Jesus Christ for over thirty years as a preacher, Bible Teacher, and Illusionist. 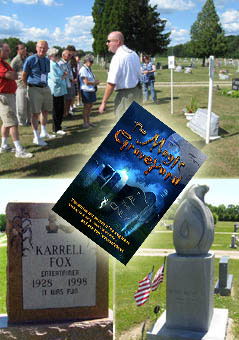 Drawing upon his unusual background as a medical doctor and a professional illusionist, Dr. Jerry Burgess is able to present unique perspectives on the Gospel in a thoroughly entertaining way. 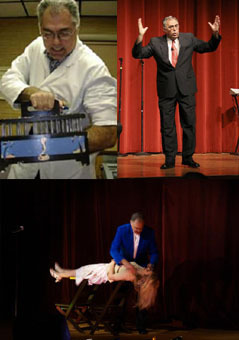 A professional illusionist since 1969 and in the Gospel Illusion Ministry since 1970, he is a three-time past president of the Fellowship of Christian Magicians (an organization of over 3,000 members in 50 states and at least 30 other countries who use illusions, ventriloquism, puppetry, etc. to illustrate the gospel of Jesus Christ). Dr. Jerry Burgess has performed throughout the U.S. and Canada, Europe, Asia, Africa, South America, on cruise ships in the Caribbean and Scandinavia, and on network television in 39 countries on 5 continents and on national TV in the U.S. 18 times in the past 25 years. Get a head start on your magic shopping! The dealers room is free to visit and special deals abound. Our showroom specials are put out Wednesday morning and should be waiting for you when you walk into the dealers room. 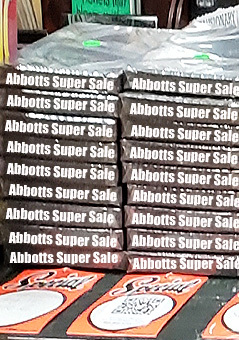 These items are new and sell for wholesale cost or less but Abbott's has limited quantities on these items so it pays to buy early. Abbotts also has a unique way of showing demos for these items, we use Quick Read Squares so all you have to do is have a QR scanner (its free) app on your phone, scan the square, and you can see the demo right on your smart phone. We will list this years special as the event gets closer. 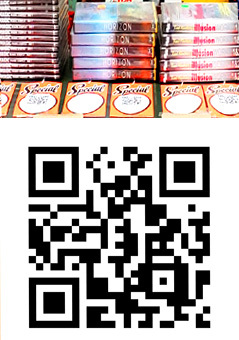 To the left is a sample QR Square which should take you to a youtube demo of Illusion Works from last year if you would like to try out your QR reader and make sure it works. What happens when a magic shop gets a book with a minor imperfection such as a bent cover or a folded page? What happens if you buy 20 magic books and only sell 2 of them in a year? 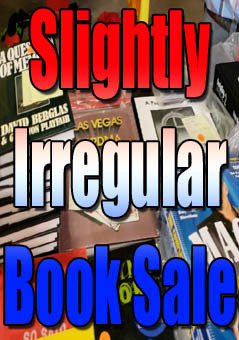 You sell the items at the Slightly Irregular Book Sale (wholesale or lower in most cases) once a year to help clear inventory. 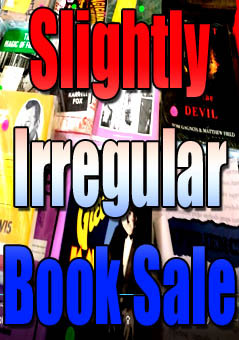 We will list the books available about a month before the Get Together as a pdf file so you know what to expect, all prices will be wholesale or less, or in many cases, much less. 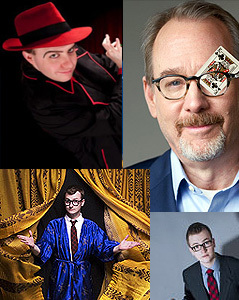 Learn Ventriloquism the fun way from the author of "Magic with your Voice"! 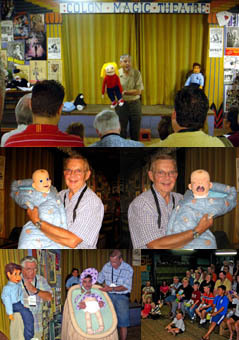 George Schindler (and friends) takes you step by step through the basics of ventriloquism and demonstrates everything along the way. You do not need a puppet! You do not need any special equipment or talent to do this, and the entire family can learn and be entertained at the same time. Highly recommended for everyone who wants to add a touch of fun to their act! 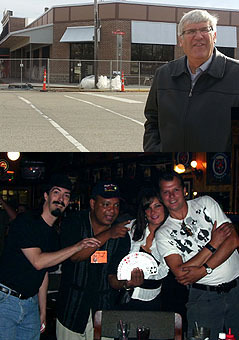 A past national president of the Society of American Magicians who has also been elected to the SAM Hall of Fame, George Schindler serves on the board of trustees of the Society of American Magicians Endowment Fund. He is the chairman of the Houdini Hospital Fund. 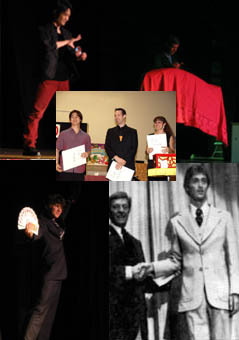 He is a member of the IBM, MAES, the Magic Circle of London, the Australian Society of Magicians and was awarded a Lifetime Achievement Award by the Milbourne Christopher Foundation. at the Colon Historical Mueseum! 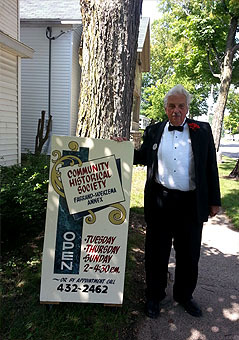 The Community Historical Society of Colon was organized in 1974 to promote interest in all aspects of the history of Colon and the surrounding area. 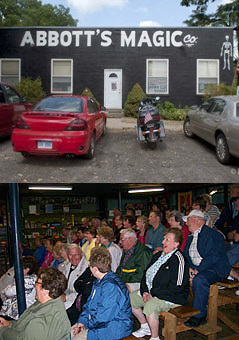 To help fulfill its purpose the society established and today maintains the museum which opened on July 4th, 1976. 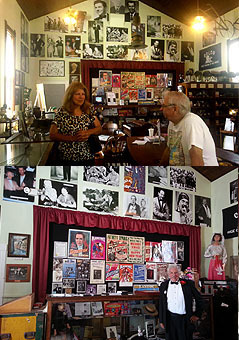 You could almost call the Museum's Magic Exhibit Colon's own "Magic Hall of Fame" as you will see articles and items from many of the past performers who have graced the Abbott stage. 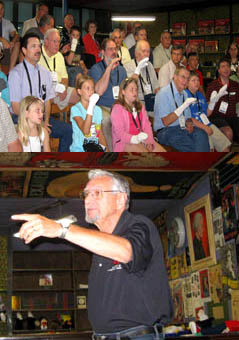 The museum is opened Aug 8-10 during the 82nd Get Together from 2pm till 4:30 pm. See the talent of tomorrow today ! 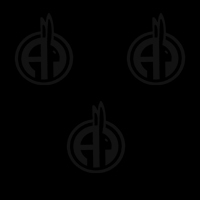 Not only do you see the future talent of magic, you can be a part of it because registered members who watch the talent competition are given a vote for what they think is the best act. Some of the past performers who have participated in the talent contest as teenagers are listed below. David Kotkin (aka David Copperfield) For those who would like to compete in this event, go to our Talent Contest Page for rules, application, and all the details. 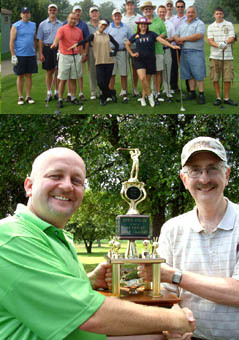 All registrants of the Get-Together who like to golf are welcome! 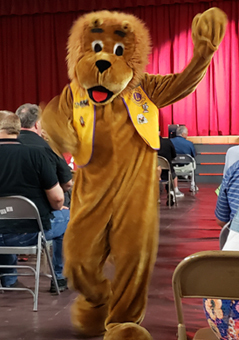 You need to be at the 30th Annual Open Colon �No Frills� Golf Classic, Wednesday, August 7, 2019 8am. Call Al The Only 1-808-874-2591 for more information or to confirm a tee time. 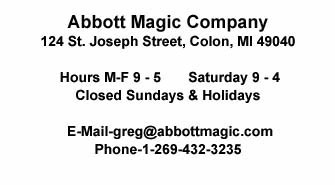 This is open to all golfers who are registered for the Abbott�s Magic Get-Together. The cost is $10 plus the cart and golf fees. The course has clubs for rent, but please call them 1-269-467-6275 to reserve a set. PM, text, e-mail (altheonly@aol.com) or call Al at 1-808-874-2591 to let me know that you�ll be joining us. FORE a history of this event click here!!! 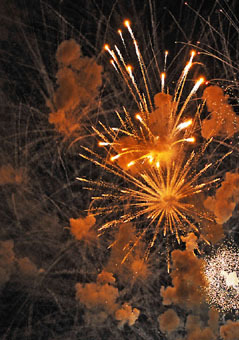 Fireworks after the Friday evening show have been a tradition at the Abbott Magic Get Together for a very long time. The show takes about 15 - 20 minutes outside of the Colon High School and can be viewed from miles away. The firework show is the perfect finale to a family outing at the Get Together and makes any summer that much more magical! 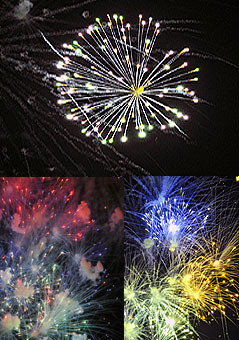 Check out this video from a few years back of the Firework Finale. To the best of our knowledge, the Abbott Magic Get Together is the ONLY magic convention that has a full scale firework show. Sparkle does this for the magicians and the family because we love you! 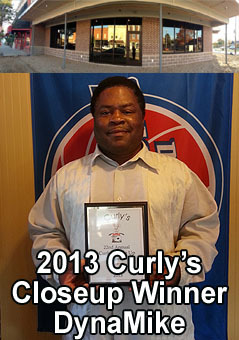 Curly's is back, and with it the 28th Curly's Closeup Contest will take on a new meaning as the event will take place in the new building. As many of you know, the original Curly's building burned down in 2013 (the closeup contest continued in 2013 using a temporary location), but has been rebuilt and it is a beautiful building that now wraps around the corner of mainstreet. Minnesota magician Tru DiCanzo once described the Curly's Closeup Contest as follows. "This was unlike any magic contest I've seen before - The Curly's Classic is like the wrestling cage match of magic. It's one of the most challenging performance situations in the middle of a bar with the noise of video games, and pool tables." 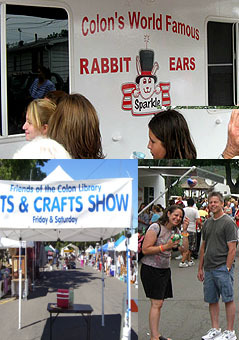 In the past this event was run by the Colon Friends of the Library, but this year it will be run by Flea Market Extraordinaire Karin Milliman (who also is Abbott's seamstress). Perhaps the biggest change is the location of the event which is outside the Elementary School (which has the dealers room on the inside!). This will allow people and families to shop at both since they will be in the same location. 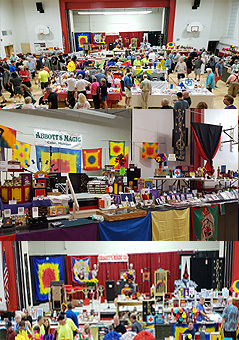 Look for some of the best craft booths you will see in Michigan at this years event. This long running event is traditional to Magic Week in Colon and really provides a great shopping experience for all members of the family. Everything from Bar B Que Wagons to Jewelry to the Sturgis Journal can be found at the Craft show. This event begins Friday, August 9 from 9am till 4pm, then again on Saturday August 10th from 9am till 4 pm. We do have scheduled times for buskers to perform here as well so you need not miss a minute of the magic while at the Craft Show. While we don't have the space to list everyone, some of the vendors you will see are listed below. B.J. Mallen is your host for afternoon magic! 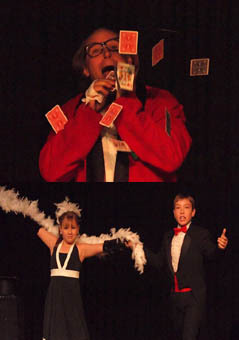 Bring the whole family to a good old fashioned magic show! 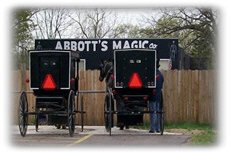 As if there was not enough magic going on this week, Abbott's brings you daily magic shows from its historical showroom twice a day during the Get Together. These shows are only $5 a head and last about 20 - 40 minutes and you will be sitting in bleachers under Abbott's historical ceiling which is covered with classic magic posters (some of the ceiling posters are valued in the tens of thousands of dollars). The Magic show schedule is below! 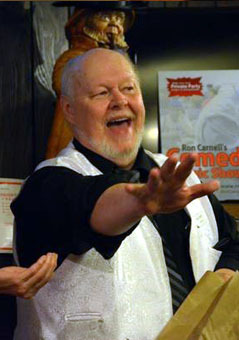 Ron Carnell is your host for late afternoon magic! As you know the dealers room closes at 5:00pm and the Abbott evening show opens at 7:30pm so the question is what to do for those 2 hours? 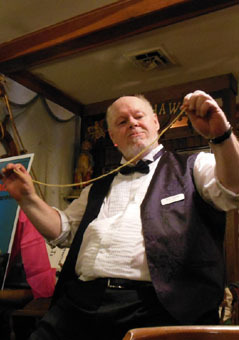 Here is a suggestion, every night for each of those four nights a relatively small crowd of people start their evening of magic with a Magic Show & Dinner at River Lake Inn. Seating is extremely limited and it always fill up early. 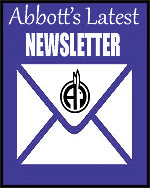 These shows and dinner start an hour earlier than usual (5:00pm), so we can make sure everyone has time to make Abbott�s 8 p.m. evening shows. 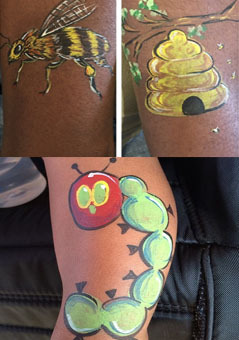 5:00 PM Wed - Saturday (Aug 7-10) - Click here for more info. 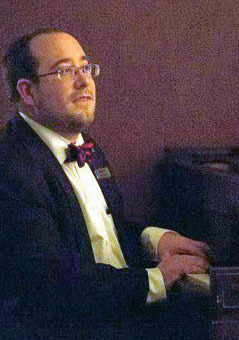 John Sturk will be playing the organ at Abbott's Evening Shows! John Sturk is going to play his organ in front of everyone at the Get-Together. 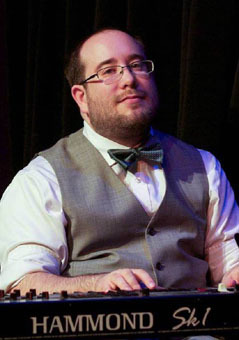 Yes that's right John is a professional piano and organ player from Chicago, He plays at the magic lounge there. He is going to do his best to recreate the powerful feeling of live music in our theatre as the Vegas style shows start here in Colon August 3 thru 6. John says and we quote "I'm brushing up on "No Business Like Show Business" as we speak". 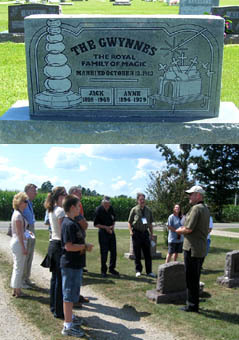 Just another big reason to see the Magic Happen at this years 80th Get Together. Award Winning Artist Carol Hendrix! 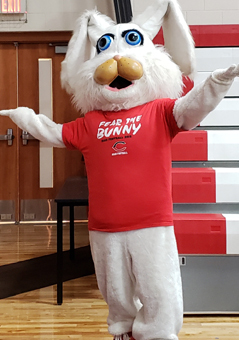 Take a Master's degree in Education, a background in fine arts, years of experience in children's entertainment, and what do you get? Carol Hendrix! After teaching for over six years in the California school districts, Carol moved to Illinois and decided on a career path that involved more creativity. 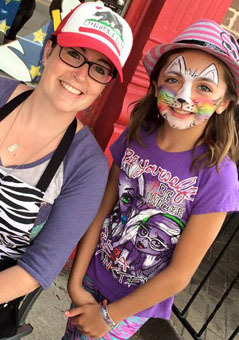 This award-winning artist will be face painting in front of Five Star Pizza from 3:00-6:00 each day of the Get-Together. Come visit her with your most creative design requests; she loves a good challenge! 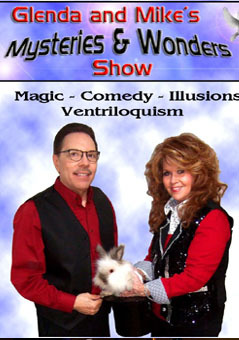 Featuring the magic and entertainment of John and Tamara Sterlini at a 5pm Matinee time. Throughout his career, Sterlini has performed for large audiences such as mystifying 80,000 fans at a sold out Detroit Lions football game, but never so many until he thrilled millions over the airwaves on the Arsenio Hall and Jerry Springer shows. Tamara performed with a vocal jazz ensemble that toured mostly throughout the Chicago/Great Lakes region.Some other venues have included: Michigan Opera Theater, Disney World (Ariel and Belle) and Celebrity/Royal Caribbean Cruise Lines(Jazz Quartet vocalist). 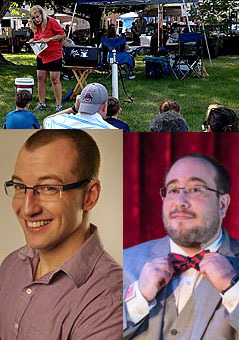 Now see both with selected guest(s) Thursday, Friday, and Saturday at the 82nd Abbott Get Together! Only $7 - A great way to end a magical day! Want a GREAT way to end Wednesday night? 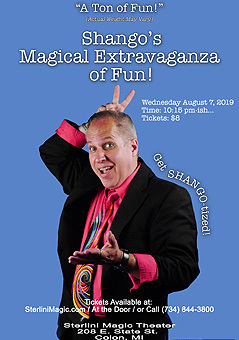 Join award winning Magic & Fun Guy John Shango as he takes you on a Magical Extravaganza Of Fun! 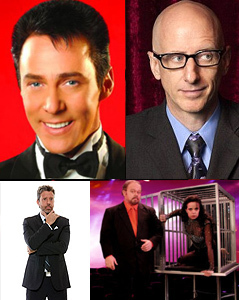 You�ll be Entertained, Amazed & Amused! Shango�s not just fun...he�s BIG FUN! �I�ve never seen anyone better!� Stevie Wonder! You may run across one of these on your adventure. 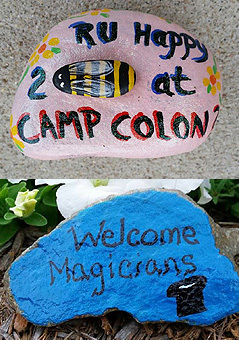 During the Abbott's 82nd Magic Get-Together, magic themed rocks will be hidden all around Colon. 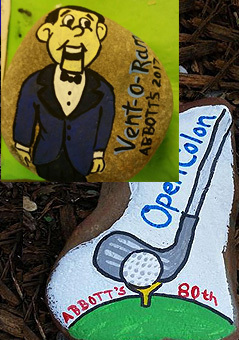 If you find one of these magic rocks please take a selfie with it, post to the Colon Magic Rocks page, and then re-hide for others to join in the fun! Join the Colon Magic Rocks group facebook page to see who and what rocks are being found.